IBM reported fourth-quarter earnings after Thursday’s closing bell that beat analysts’ expectations. 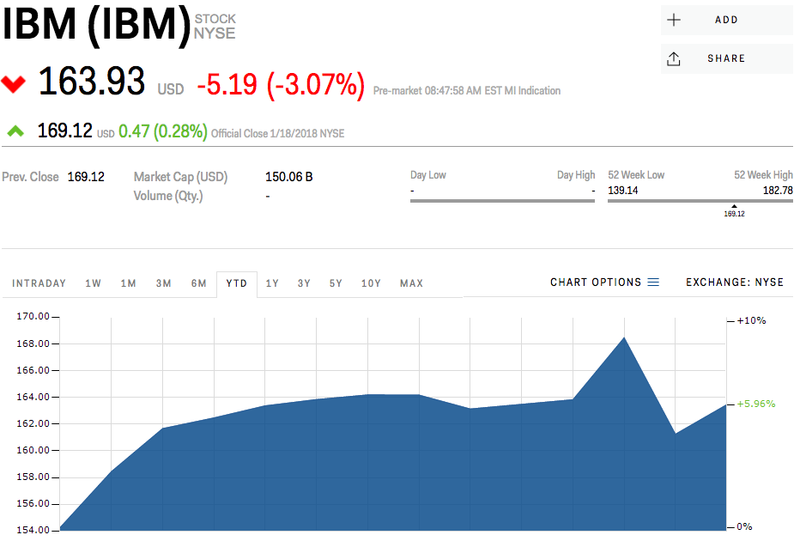 View IBM’s stock price here. Shares of IBM slid in pre-market trading on Friday despite reporting profits that beat analysts’ expectations. The tech giant reported a monumental quarter, breaking a 22-quarter streak of declining revenue. It reported $22.54 billion in revenue, up 4% from the same time last year. This was ahead of analysts’ expectations of $22.05 billion.